Great as all of the Guardians of the Galaxy trailers have been so far, they have been kind of ignoring some of the most important characters in the movie: the villains. Sure, we've heard a lot of talk about threats to billions of lives and the need to stop people from wiping out the galaxy, but who exactly are the people responsible for these horrific threats? 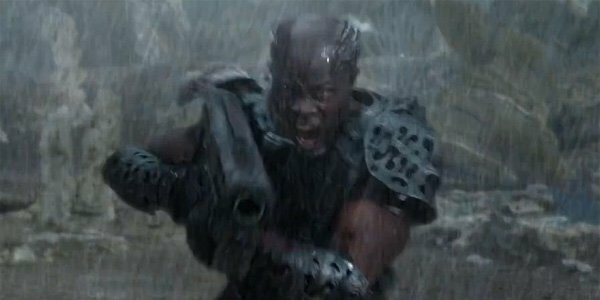 This pissed-off looking dude, played by Academy Award-nominee Djimon Hounsou, is known as Korath, a.k.a. The Pursuer. In the trailers you probably remember him as the guy pointing a gun at and chasing after Star-Lord (Chris Pratt), and you can probably get used to seeing a lot of that throughout Guardians of the Galaxy. A member of the alien race known as the Kree, Korath is an expert hunter (as his nickname suggests) and has superhuman abilities that allow him to be very successful at his job. In the comics the character has the ability to trace brain patterns and locate individuals psionically, but it's unclear if that power will continue in the movie. 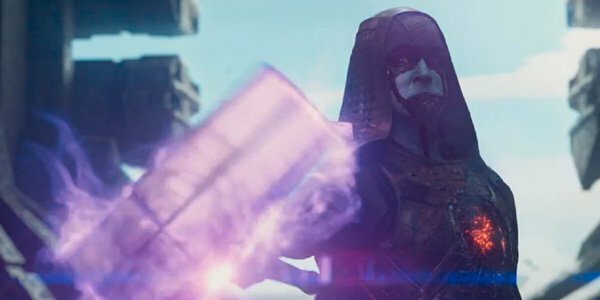 Standing next to Korath and also a member of the Kree is Guardians of the Galaxy's main bad guy, Ronan The Accuser. (Lee Pace) While he will be spending most of the movie on the hunt for the titular team, as they have taken possession of a mysterious orb that he covets, Ronan also has some serious powers, as demonstrated by his energy manipulation in some previous trailers. He also has that big hammer, which you can be sure will be used to knock a few people on their asses. 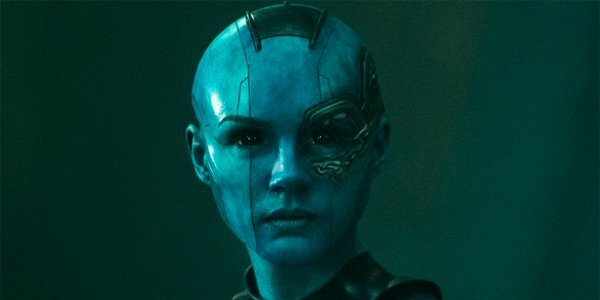 Finally, on the far right of this image is Nebula, played by the completely unrecognizable Doctor Who beauty Karen Gillan. 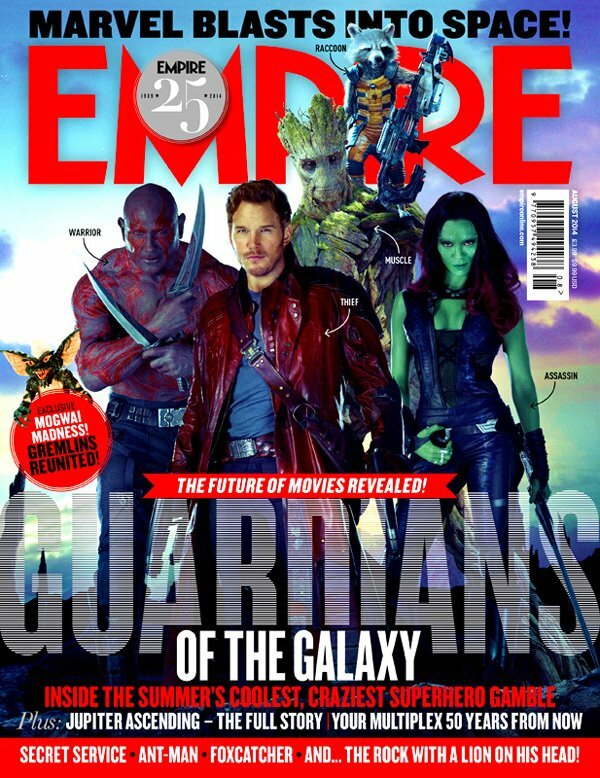 While she is teamed up with Ronan and Korath in pursuit of the aforementioned orb, she also has a personal score to settle with one member of the Guardians of the Galaxy in particular, namely Gamora (Zoe Saldana). In the past they were like sisters (both being assassins), but changing allegiances changes the narrative. The one baddie not featured on the magazine cover is the puppet master holding all of the strings: Thanos (who will be voiced by Josh Brolin). The Mad Titan, who was first introduced into the Marvel Cinematic Universe during the end credits of Joss Whedon's The Avengers, won't be playing a huge physical role in the movie, but you can be sure that his sticky fingers are all over the plot.